All weekend, I’ve been thinking about today’s blog post, wondering what I’d write about, and coming up empty. I did post to my photo blog yesterday, as well as to my cooking blog but when it came to this blog, I had no idea what to write about. You see, there’s been next to no knitting. I’ve done as much as I can on the 10-stitch blanket; I’ve run out of yarn. I still don’t feel like working on the Lowtide Cardigan and, besides, I’ve been too busy cooking and taking pictures, and puttering in the garden. However, I did feel like knitting. I went on the hunt for instant gratification. That’s where the fear of commitment comes in. I decided that, even though summer’s on the horizon (albeit rather distantly), I am going to knit myself another cowl. I went hunting on Ravelry and found a pattern I’d already downloaded at one point. The cowl is…. oh, just wait for it………… the Fear of Commitment cowl. I knew immediately which yarn I’d been using. There’s a ball of Malabrigo sitting in my stash from who knows how long ago? I’m knitting the cowl on 7.0 mm needles. Within what seemed like minutes, I had two inches of the cowl knitted. There’s definitely something about instant gratification. This is going to be one cushy, warm cowl and I’m already looking forward to wearing it on those chilly days of autumn and winter. So, why is it called the Fear of Commmitment cowl? Well, it calls for a toggle-like button connected to a small button by some elastic thread that you can use to fasten the cowl in a variety of forms, depending on your mood. It’s not just a loop of knitting that you wear around your neck. I don’t mind that kind of fear of commitment! Oh dear, I have been neglectful, haven’t I? My last post was almost a month ago! I’m not sure where the time has gone but, obviously, I’ve been busy with other things. 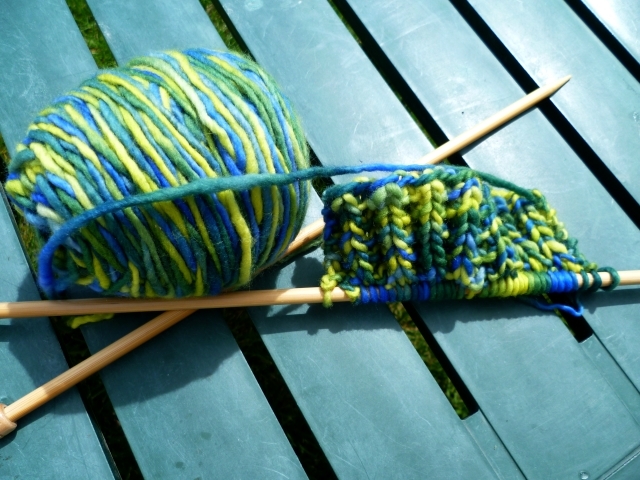 Knitting has, unfortunately, been very much on the back burner. I have done a little more on the 10-stitch blanket but I can’t get any more of the yarn right now (it’s a supply problem, apparently; it’s been back ordered twice now) and there’s just a small ball remaining, definitely not enough to finish it. I haven’t been working on the Lowtide cardi because I just haven’t felt like it! How’s that for the truth? It’s resting in a basket beside my recliner but I haven’t picked it up in a long time. For that matter, I haven’t even been sitting in the recliner much lately. Hmm… So what have I been doing, anyway? John and I took a lovely drive, using back roads, all the way to Salmon Arm (a round trip of about five hours) a few weeks ago. It was a lovely opportunity to get out and look at our fabulous area and take a few pictures. It was also a great way of having some quality “us” time. 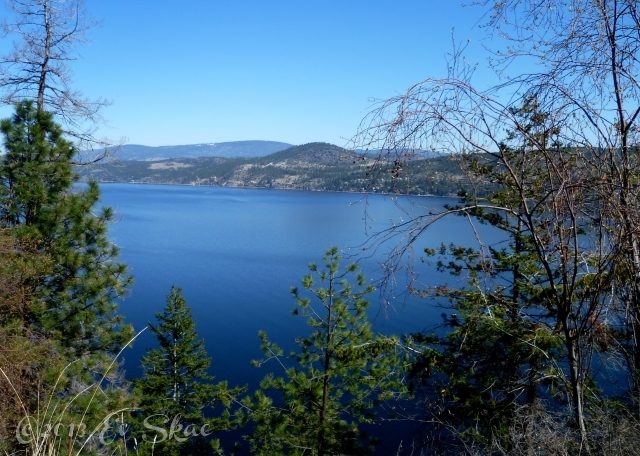 Okanagan Lake, taken from Westside Road, looking towards Vernon. 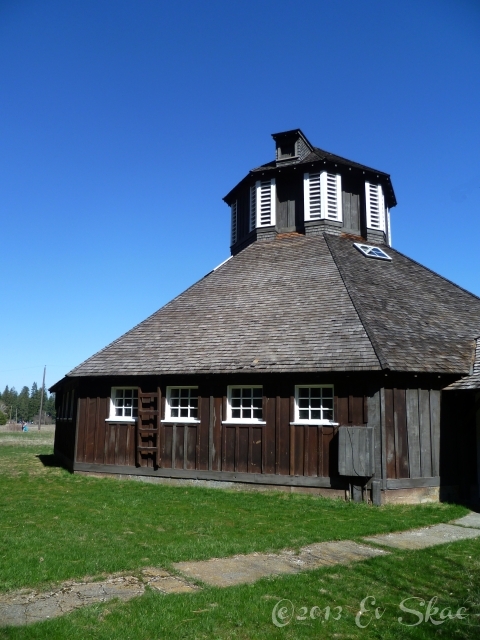 The horse barn at Fintry Estate, Fintry’s Landing. 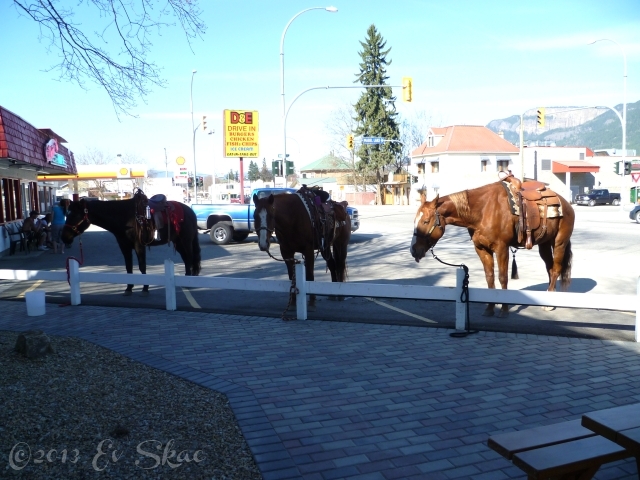 The Equine Rangers, Enderby, B.C. Working to make their community horse-friendly. Apart from that, we’ve just been busy around here, gardening, cooking, cleaning, and painting. Yeah, painting. But not the kind you’re thinking of. 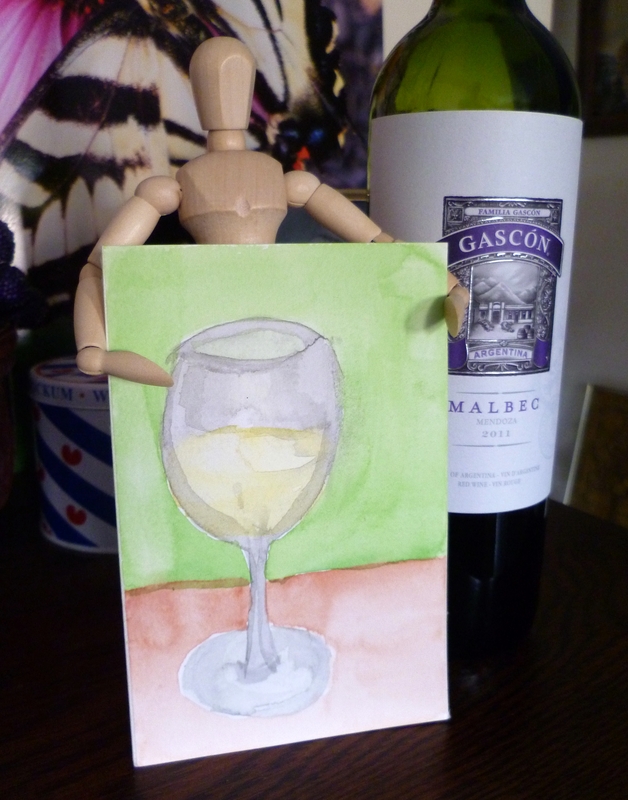 Because of one of my customers, an amateur artist who occasionally has greeting cards made with some of his paintings, I was inspired to try my hand at it. I’ve been wanting to paint with watercolours for a long time, and have all the supplies (have had for a long time), I decided to splurge on some watercolour paper and give it another try. I’ve been told, “Paint what you see”. I just happened to be drinking a glass of wine. It was fun! And nowadays, there are plenty of websites and YouTube videos with instructions so I really have no more excuses. Besides, I need another hobby, right?